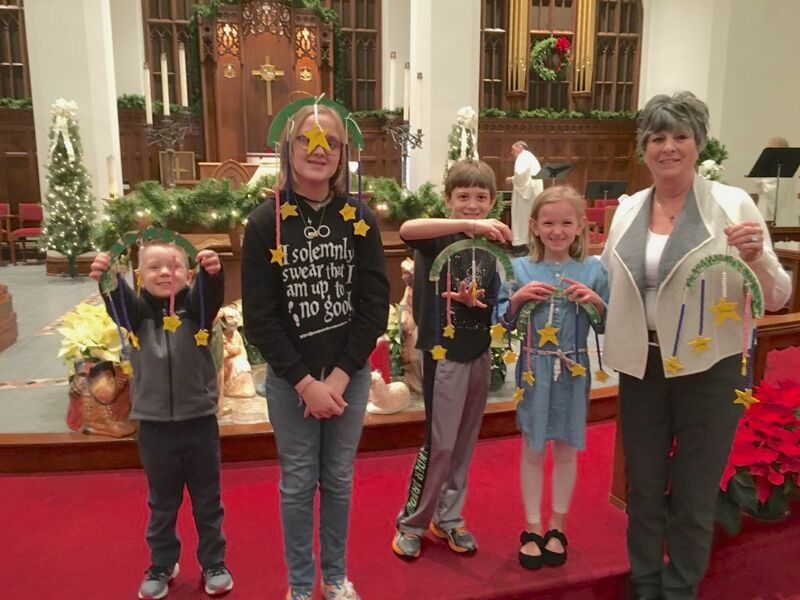 Children from the Sunday School their teacher, Sondra Thompson, are shown with the Advent mobiles they created during the four Sundays of Advent. The children worked diligently to paint parts of the mobiles and string beads to hold stars representing the Advent Sundays. 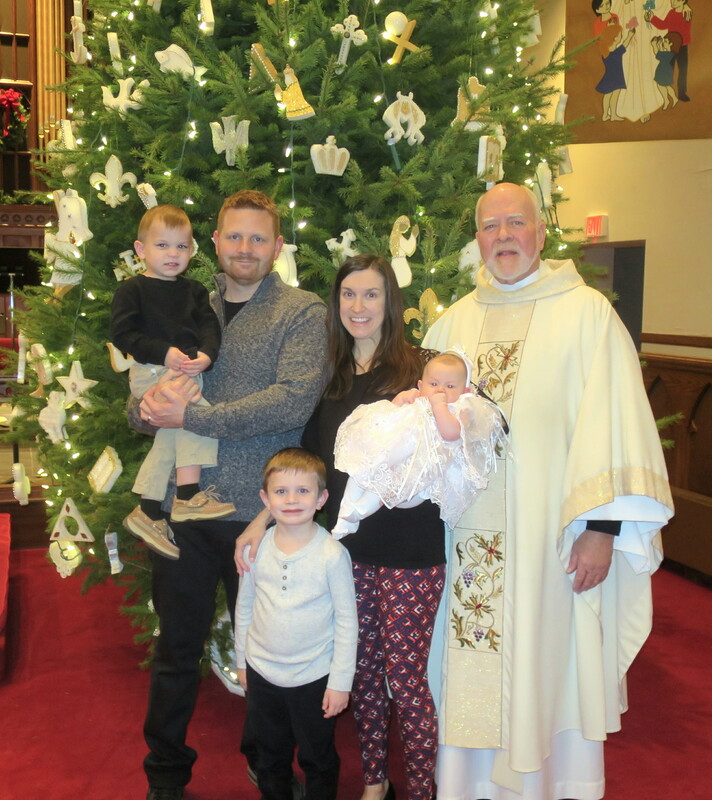 On Saturday, December 29, 2018, we welcomed Mila Grace McGeary into the family of God through baptism. Mila is the baby sister of Owen and Brayden McGeary, and the daughter of Sean and Julie McGeary. 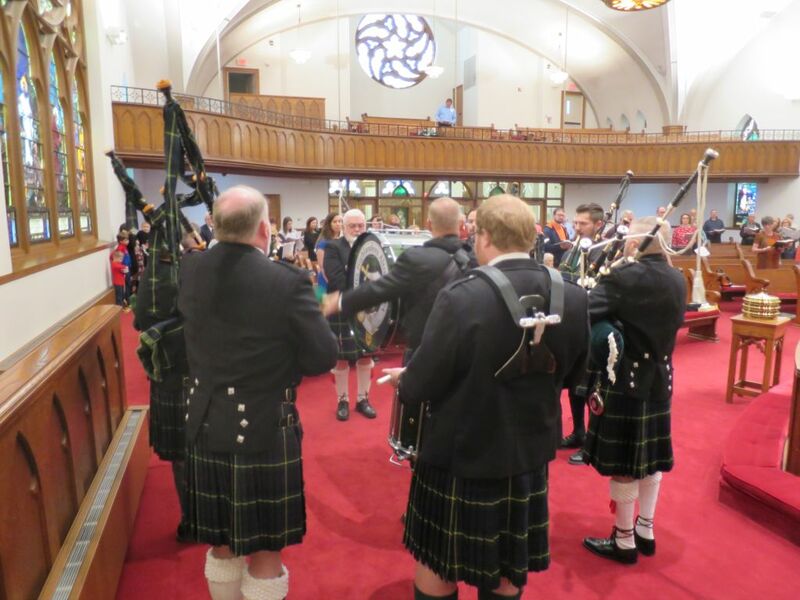 They are shown here with Pastor Folmar. Welcome to our church family, baby Mila!! 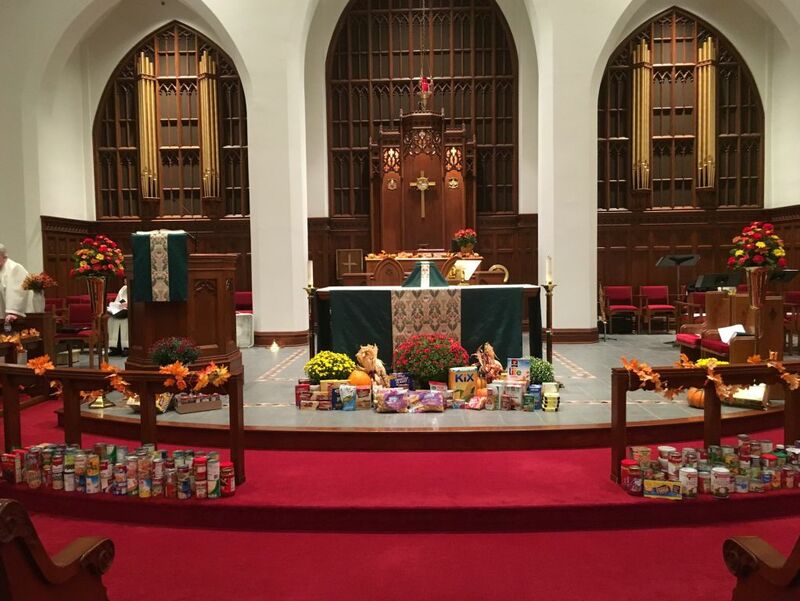 Harvest Home Sunday was observed at First Evangelical Lutheran Church on October 21. Members of the Circle of Hope provided fall decorations for the chancel area. Donations of food given by children and their families and staff of TLC, the Children’s Sunday School Class, and congregation members were on display before being given to the Altoona Food Bank. The Children’s Sunday School Class shared the news of their donations to ELCA World Hunger to purchase chicks and bees for poor families around the world. 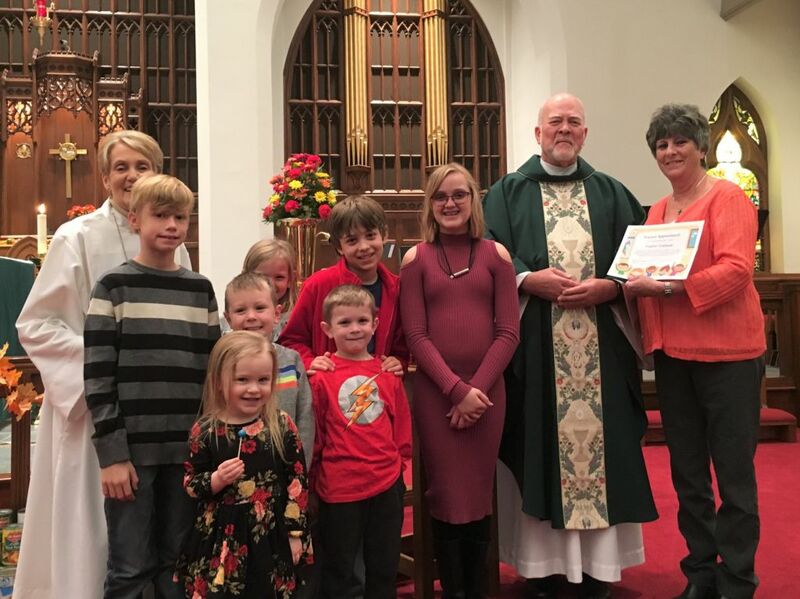 These donations were made in honor of Pastor Barry Folmar who is pictured with the certificate of appreciation signed by the children. 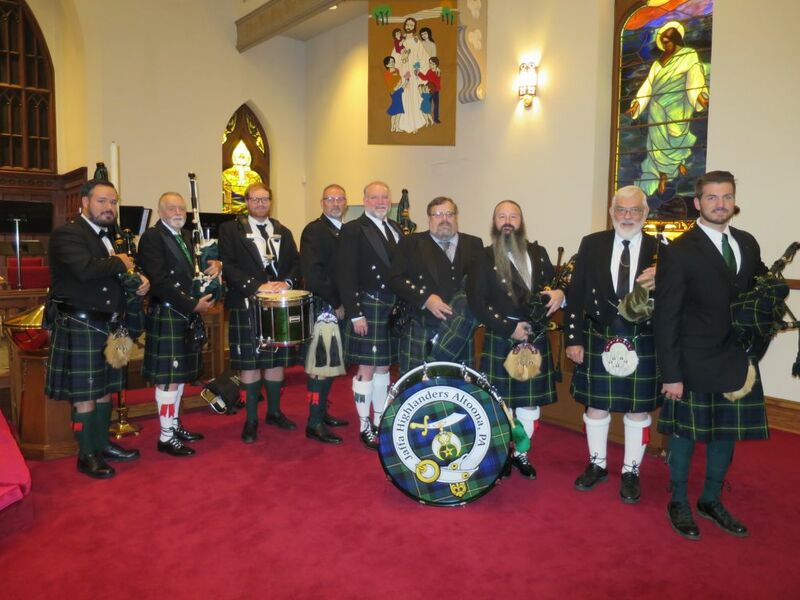 Here are some pics of Roy Cook and the Jaffa Highlanders, who provided very moving music ministry this past Sunday, October 14, 2018. 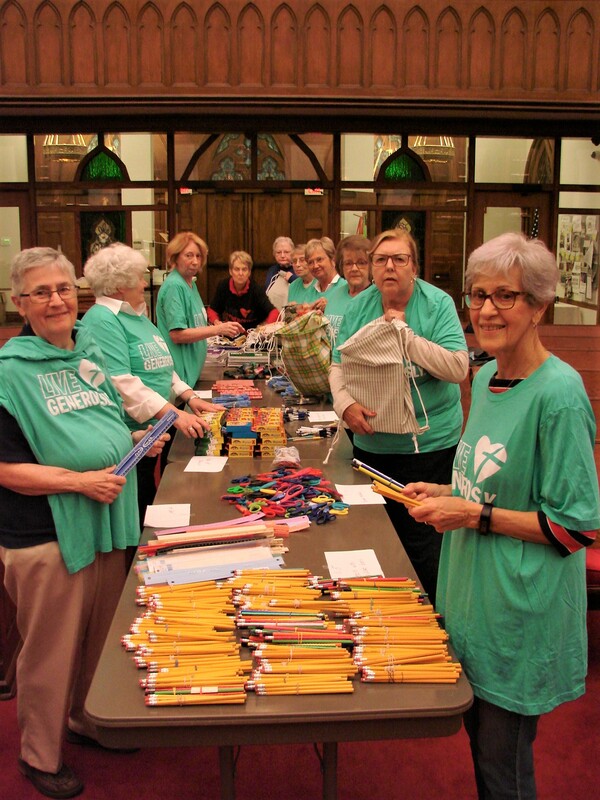 Sunday September 16th Pastor Folmar blessed 75 school kits for Lutheran World Relief. 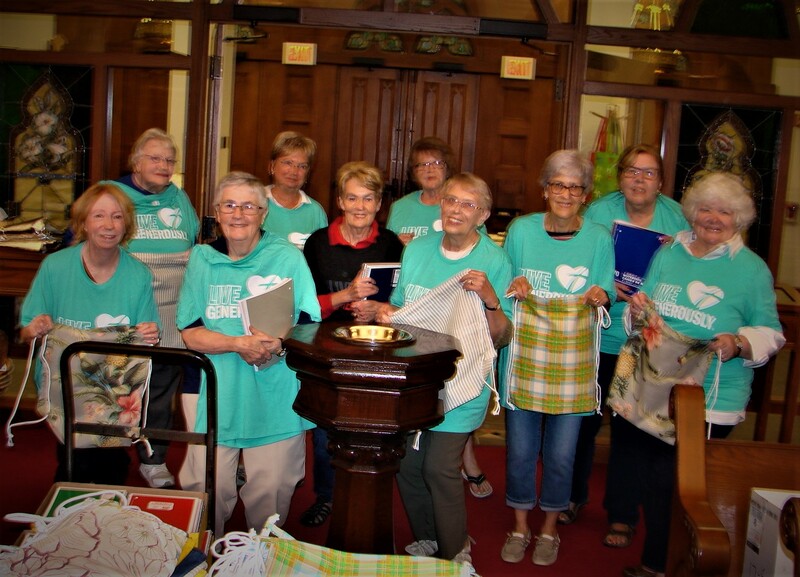 Members of the Circle of Hope assembled the school kits using supplies donated by church members and placing them in wonderful cloth backpacks sewn by Doris Reigh, Beth Andrews, and Connie Leipold. The Circle of Hope is very appreciative of all money donations and donations of school supplies for this project. 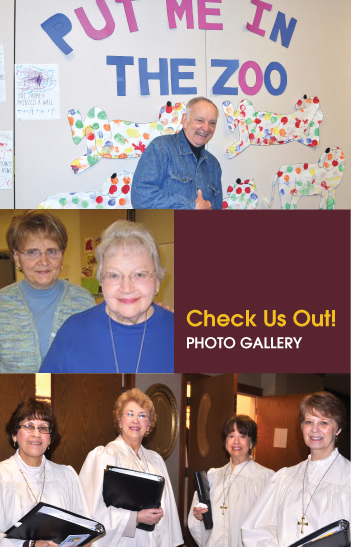 A Thrivent Action Team grant also provided funding for this activity. The 75 kits represent an increase of 25 kits over the number packed last year. On Saturday and Sunday, September 1st and 2nd, 2018, Pastor Folmar blessed the backpacks of our youth, who are returning to school this fall. 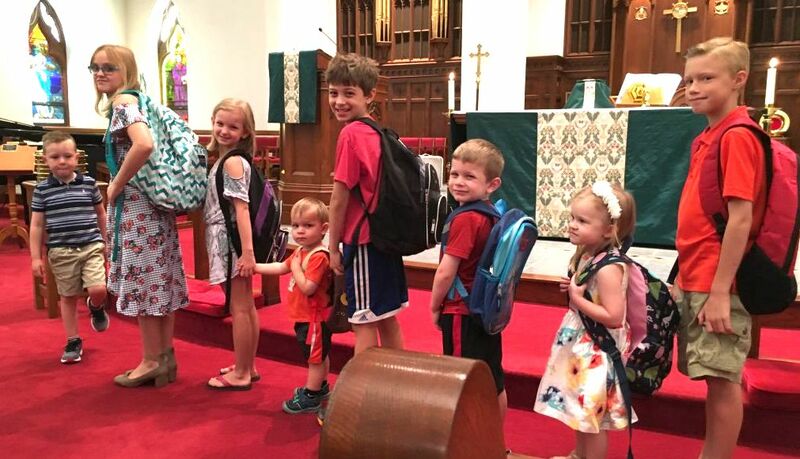 Shown here are the children with their backpacks from Sunday service, September 2nd. 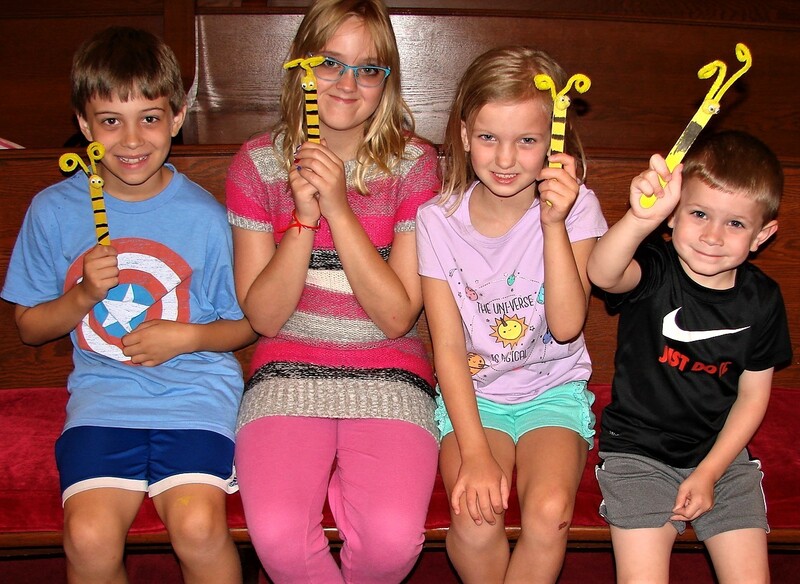 First Lutheran’s Sunday School children are proudly showing their “bee” bookmarks made while learning how ELCA World Hunger supports poor families in Hungary by providing money for them to buy bees which will provide honey. Sunday School learning was enhanced by a wonderful talk by First Lutheran’s own beekeeper, none other than Pastor Folmar. 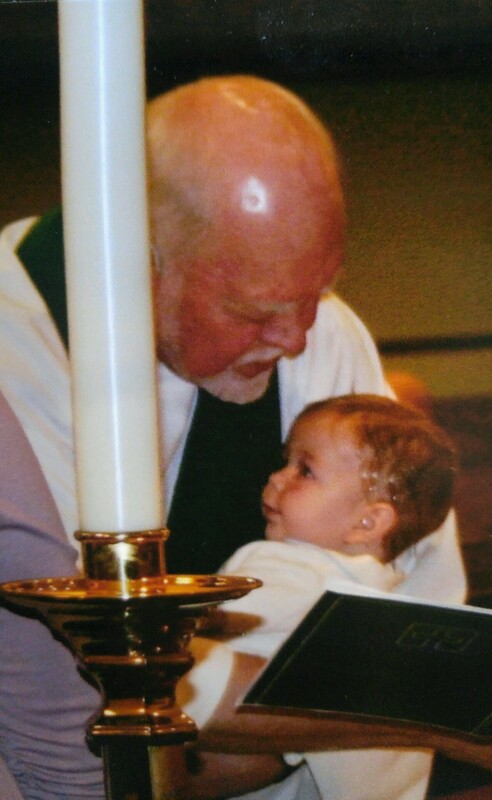 On Saturday, June 30, 2018, Isaac Thomas Becker was baptized into our church family. 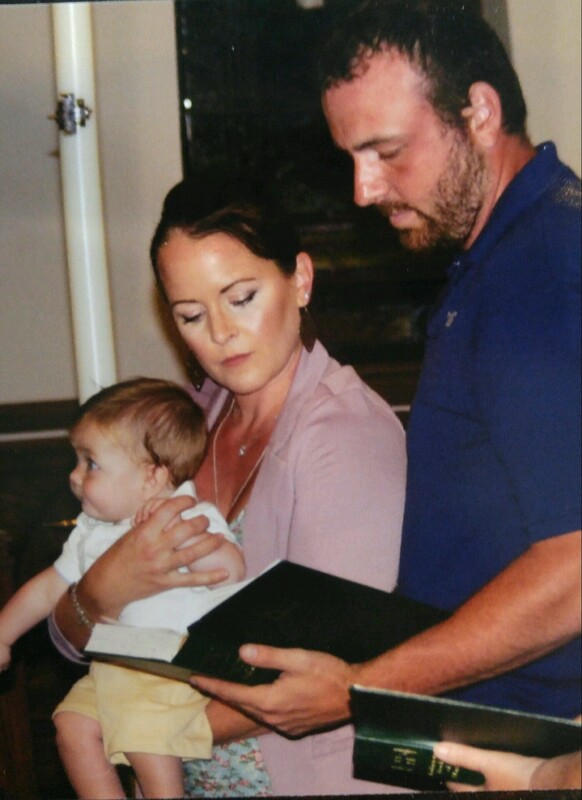 Isaac is shown here with Pastor Folmar, and with his parents, Erin and Joseph Becker. Welcome, Isaac!! 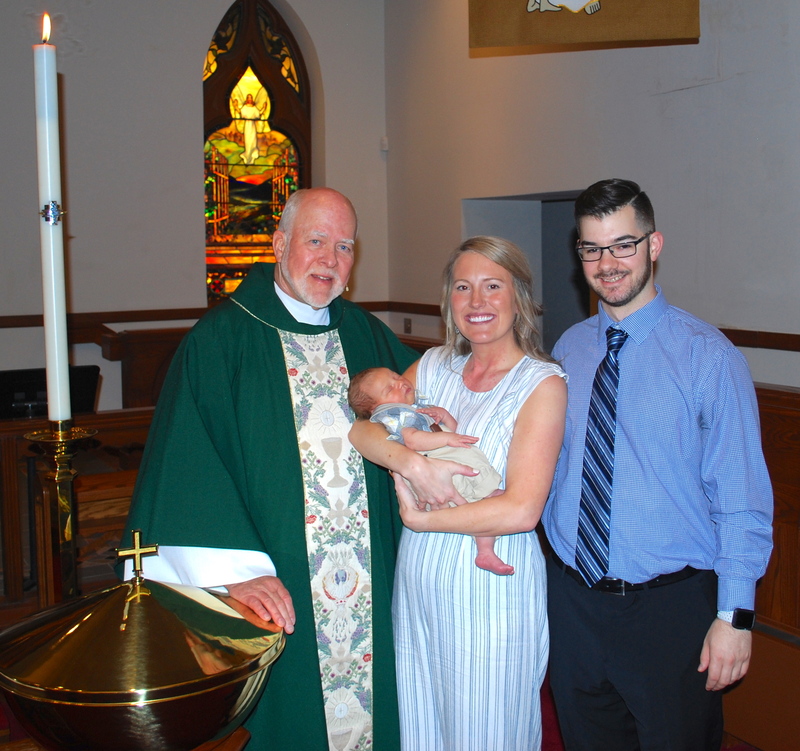 On Saturday, July 28, 2018, Luca Nicolas Fusco was baptized and welcomed into our church family. 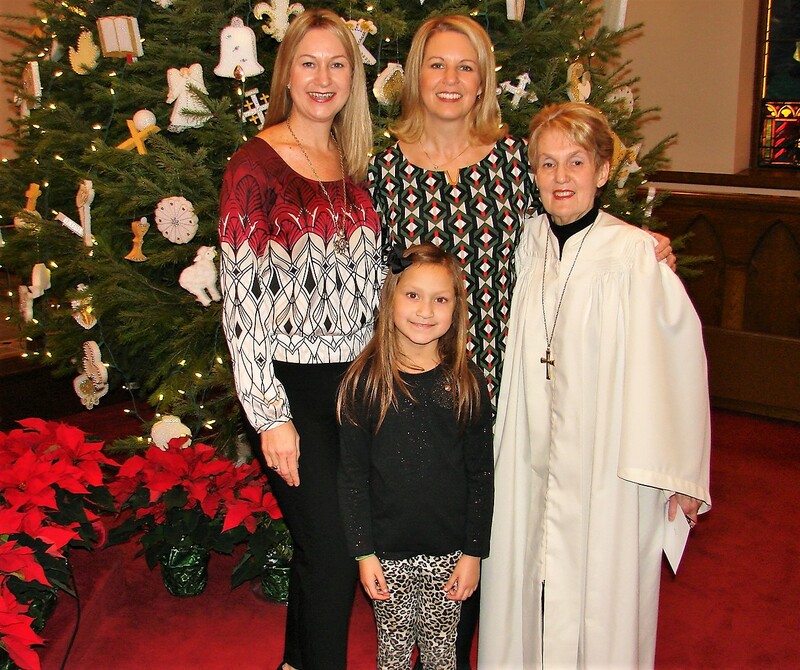 Luca is shown her with Pastor Folmar and his parents, Allyson Moyer & Chris Fusco. Welcome, Luca!